Deep in the heart of Patagonia, in Southern Chile, flow two of the world’s purest rivers, the Baker and Pascua. Fed by vast glacial systems, these free-flowing watersheds drive biodiversity in temperate rainforests, estuaries and marine ecosystems. They also sustain Patagonia’s indigenous gauchos, proud and hearty folk who live simply off the land. Patagonia and its inhabitants are the focus of Oakland filmmaker’s Brian Lilla’s new feature documentary Patagonia Rising which investigates a plan under evaluation by Chile at the time of filming to build five large hydroelectric dams on two of the world’s purest free flowing rivers in Patagonia, Chile, the Baker and Pascua Rivers. Talking with residents of Patagonia, environmentalists, renewable energy experts and businessmen supporting the dams, the documentary aims to sort out this complex conflict over energy development in Chile. In the vein of the thoughtful and largely successful Up the Yangtze,(Director Yung Chang, 2007) which explored life inside modernizing China at it prepared for the three gorges hydroelectric dam, the largest hydroelectric dam in the world, Patagonia Rising tells a similarly epic story but feels much less monumental in scope and suffers greatly from a lack of cohesive editing and concrete information to bring the salient issues into sharp focus. What the film does best is explore the dam’s likely collateral human damage for several Patagonians living in proximity to these rivers and to outline environmental and biodiversity concerns that teams are working presently to quantify. Interspersed with director and cinematographer Brian Lilla’s lush and vast vistas of Patagonia’s rivers, glaciers, mountains and remote gaucho life, the film does raise global awareness about Patagonia but, once it’s got our attention, it doesn’t give the audience anything constructive to do with their concern. The film begs for more of attention-grabbing snapshots of Patagonia’s unique beauty and for more facts and better organization. 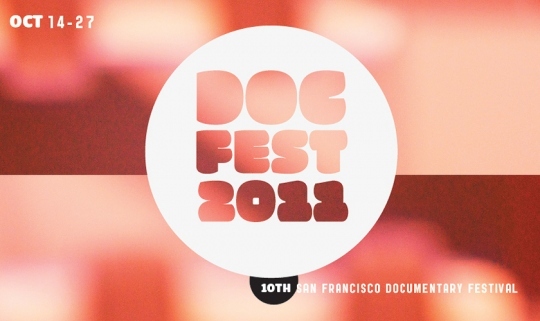 DocFest runs October 14 – 27, 2011 at the Roxie Theater, 3117 16th St. in San Francisco and Oct. 14-20 at the Shattuck Theatre, 2230 Shattuck Ave, in Berkeley. Parties will be at CellSpace, 2050 Bryant @ 18th St. in San Francisco. The 10th San Francisco Documentary Film Festival starts Friday, October 14, 2011 with a lineup of 60 amazing, engrossing, and quirky films. The 10th San Francisco Documentary Film Festival, or DocFest, starts this Friday, October 14, 2011, and over two weeks presents 60 of the most engrossing non-fiction films on the circuit right now. Sponsored by SF Indiefest, DocFest runs October 14 – 27, 2011 at the Roxie Theatre in San Francisco and Oct. 14-20 at the Shattuck Theatre in Berkeley. Highlighting the 10th SF DocFest is Dirty Pictures, Etienne Sauret’s film about Dr. Alexander “Sasha” Shulgin, the godfather of psychedelic drugs and one of the great chemists of the 20th century, and his quest to unlock the complexities of the human mind with psychedelics. Over a course of five years, Sauret followed and Shulgin and his wife, Ann, tracking how they interact with their community and the influence of Shulgin’s work on neuroscience and medical research. Closing Night brings “With Great Power: The Stan Lee Story,” an engrossing profile of the legendary creator of comic super heroes including Spider-Man, Iron Man, X-Men and many others. Now 87, Stan Lee’s name appears on more than one billion comics in 75 countries in 25 languages and the film profiles him and the industry his helped build. These political times call for answers, and short of answers—inspiration. The Docfest 2011’s current crop of political titles provide both with great expositions like the environmental call-to-arms Patagonia Rising, an essential profile of Novel Peace Prize nominee Gene Sharp, the father of current (nonviolent) revolutionary political thinking in How to Start a Revolution, the eye-opening The After Party about the ubiquitousness and danger of surveillance cameras in our lives, and Your Legal Shorts featuring local 1st Amendment hero Josh Wolf. These and others give us powerful information that can prompt us to caution, to outrage and hopefully to action. Stay tuned to ARThound for reviews. Details: DocFest runs October 14 – 27, 2011 at the Roxie Theater, 3117 16th St. in San Francisco, and Oct. 14-20 at the Shattuck Theatre, 2230 Shattuck Ave, in Berkeley. Parties will be at CellSpace, 2050 Bryant @ 18th St. in San Francisco.